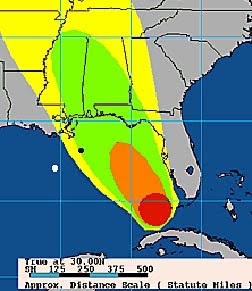 Five years ago shortly after Kyle invited me to help him start The Oil Drum, Hurricane Dennis, a category 4 hurricane, struck the Gulf of Mexico. It formed on July 4th, 2005 and dissipated on July 13th. This was the first hurricane that TOD had covered, and the focus, naturally, was on the impact which it would have on oil production. This was significant, as the MMS reported. 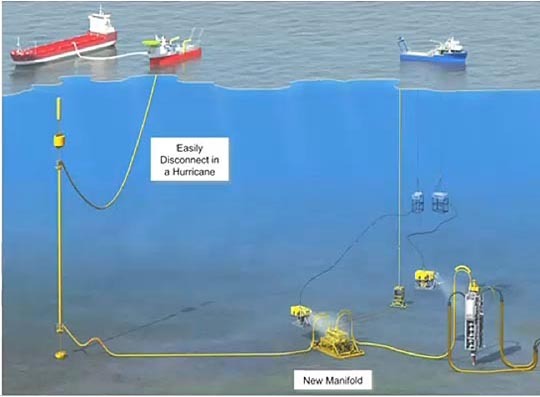 Hurricane Dennis forced the evacuation of a total of 445 rigs and platforms, according to a Monday report from the U.S. Minerals Management Service, which was released a few minutes before the end of the regular trading session. The evacuations prompted the shut-in of 96.2% of daily oil production in the Gulf of Mexico, as well as 62.4% of daily natural-gas production, according to the MMS. The update was the main reason for the rally, said Phil Flynn, a senior analyst at Alaron Trading. "People were surprised that Dennis shut in 1.4 million barrels of daily oil production [in the Gulf]," he said, emphasizing that that was a bigger loss of oil than many expected. Which, you may note covered the Eastern part of the Gulf, with the black spot being the location for the Thunder Horse platform. These evacuations are equivalent to 78.75% of 819 manned platforms and 67.16% of 137 rigs currently operating in the Gulf of Mexico (GOM). Today’s shut-in oil production is 1,427,969 BOPD. This shut-in oil production is equivalent to 95.20% of the daily oil production in the GOM, which is currently approximately 1.5 million BOPD. Today’s shut-in gas production is 8.798 BCFPD. This shut-in gas production is equivalent to 87.99% of the daily gas production in the GOM, which is currently approximately 10 BCFPD. 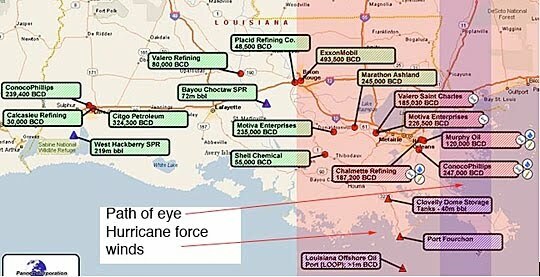 Hurricane Katrina not only knocked out rigs in the Gulf, it also had a severe impact on refineries on shore. 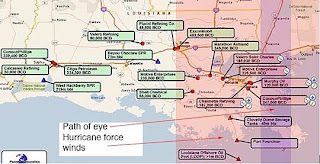 Path of Katrina through the onshore refineries. 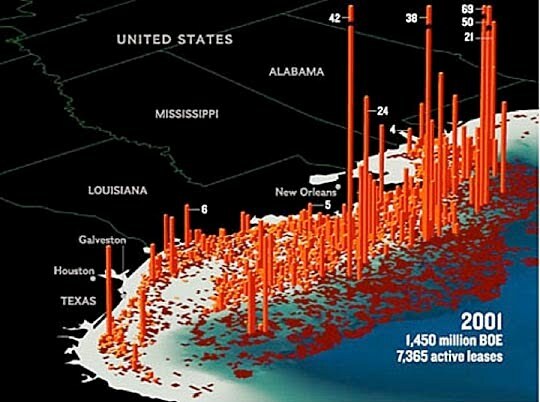 In terms of exploration, more than half of the 231 offshore rigs (excluding inland barges) currently working in the US Gulf of Mexico were in Katrina's path. A total of 48 rigs lay within the most adversely affected areas where winds were at hurricane force, blowing in excess of 74 MPH. Another 69 rigs were located in waters that experienced tropical storm force winds of 36 to 74 MPH. In total, 117 rigs, valued at a combined total of over $7 billion, had to weather the storm. As of Monday afternoon at 3pm, the US Coast Guard has reported that at least one, possibly two, deepwater rigs have lost their moorings and are floating freely in the Gulf. 58 rigs were damaged or displaced of which 30 were lost. By Sept 2nd gas was, in places, at $4 a gallon. Hurricane Rita, a category 5, was formed on September 17th and dissipated on September 24th, 2005. 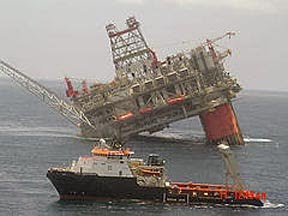 The rigs in the Gulf had not recovered from Katrina,but Rita swung further west moving through the offshore rigs to come ashore at the Texas border. The effect of Rita onshore hit more refineries. 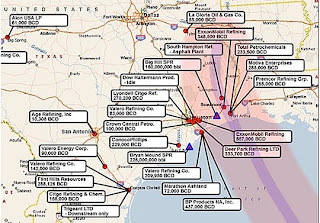 The impact of any hurricane in the Gulf on Gulf oil production and thereby on the national oil supply can be visualized with this map showing the locations of the rigs along the coast, from back in 2001. 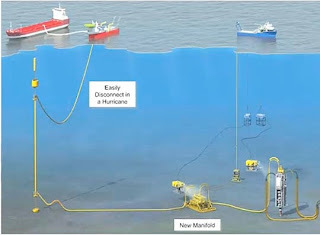 It has not changed that much since, except that there are more rigs out in the Deepwater. Now I mention all this because the gas shortages, and loss of production from the Gulf lasted through most of the fall of 2005. In order to help with supply the National Petroleum Reserve was opened and 11 million barrels of oil sold. It has since been replaced. This year is already predicted to be a more than usually severe one for hurricanes, with 2 or 3 likely to make landfall in the United States. Which leaves me more than a little concerned, and while there are many different concerns (I was on a survey team that went to NOLA after the disaster, and then down the Delta, and have no wish to ever see such devastation again), two are becoming more pronounced. The first is as much political as anything, and it relates to the growing creation of the petroleum industry as villain du jour by the Administration and the main stream press. This is not meant in any way to excuse BP or whoever is ultimately found to have caused this disaster, (and I won’t mention the different treatment of banking relative to the oil industry) but there are ongoing consequences both of current actions and attitudes and the potential increasing level of regulations and reviews that are being developed. They are all likely to negatively impact the resilience of the industry in bouncing back from hurricane damage, and in motivating, and even allowing, parts of that recovery to be as fast as it was last time. As a result, any significant hurricane in the Gulf this year may accelerate the return to $4 gas, and for a longer time than the last. And in that regard, I do remain worried that the powers that be shut down the Top Kill as fast as they did. Yes there were some problems, and I noted some potential ones, but at least it might have ended with killing the well. That won’t now be possible until the relief wells get there sometime in August. And in the meanwhile the well remains vulnerable to storms in the Gulf. Not that BP have not been making provisions for emergency disconnection of the vessels catching the oil from the leak, and potentially for storing some of the oil. As Kent Wells explained last week. The current solution involves a new connection at the BOP, which won’t be put in place to the end of June. This will include a new collection tool that is currently being fabricated, made from 10-inch thick steel. 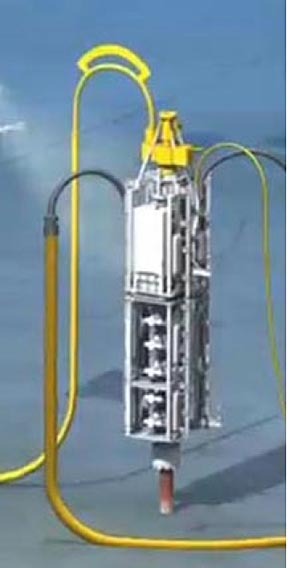 In addition there will be a new floating riser, with a flotation can to hold it some 300 ft below the surface, down below the level of the waves. 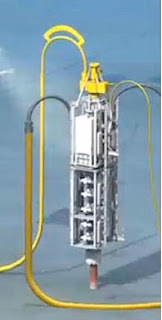 Unfortunately if it has to be disconnected, then for the time that the Hurricane keeps rigs away, the well will be spilling oil. We may leave some of the LMRP cap valves open to ensure system stability - one is currently closed. On June 6, a total of 11,100 barrels of oil was collected and 22 million cubic feet of natural gas was flared. Optimization continues and improvement in oil collection is expected over the next few days. If all were carrying the same flow (and if of the same size and driving pressure this is a reasonable assumption) then the flow will rise to 14,000 bd when all the ports are closed, and there will still be leakage under the cap to be reduced. 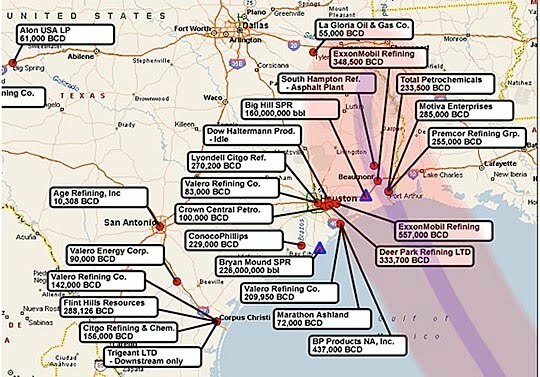 Given that the Enterprise can only handle 15,000 bd at most, this is one of the reasons why the ports remain open and that the system to draw off additional oil through the choke and kill lines is being accelerated.